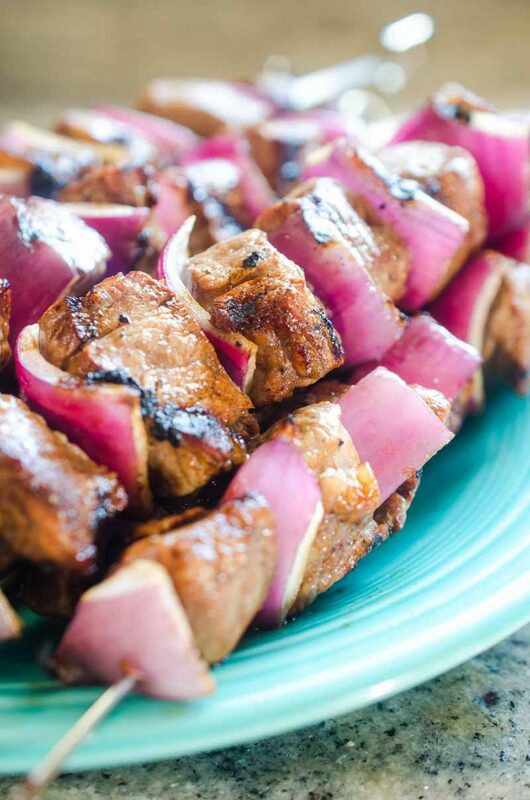 Balsamic Beef Skewers are a must for your summer BBQs. 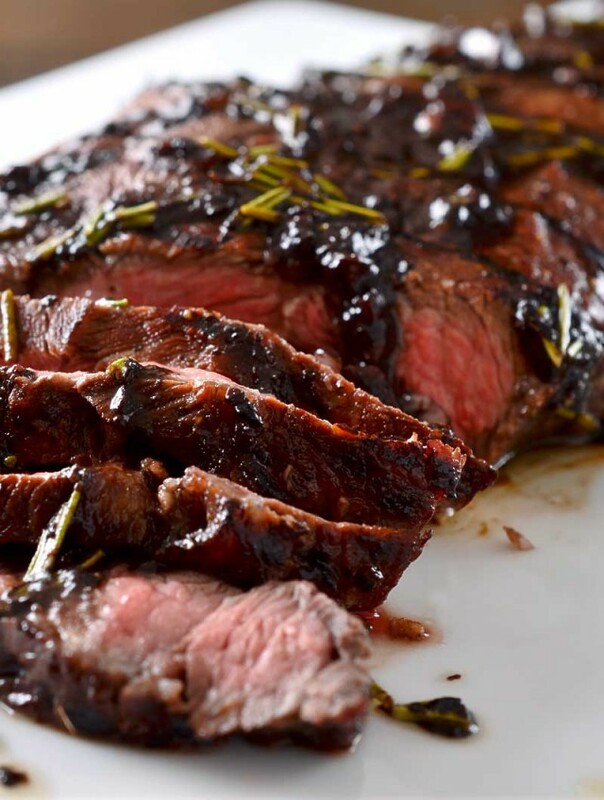 Tri Tip marinated in balsamic and grilled to perfection. Summer officially starts this week! Yahoo! That means it’s time to break out the grill. In addition to grilling burgers, hot dogs and even veggies, I am a huge fan of grilling skewers of meat. In this case, Balsamic Beef Skewers. 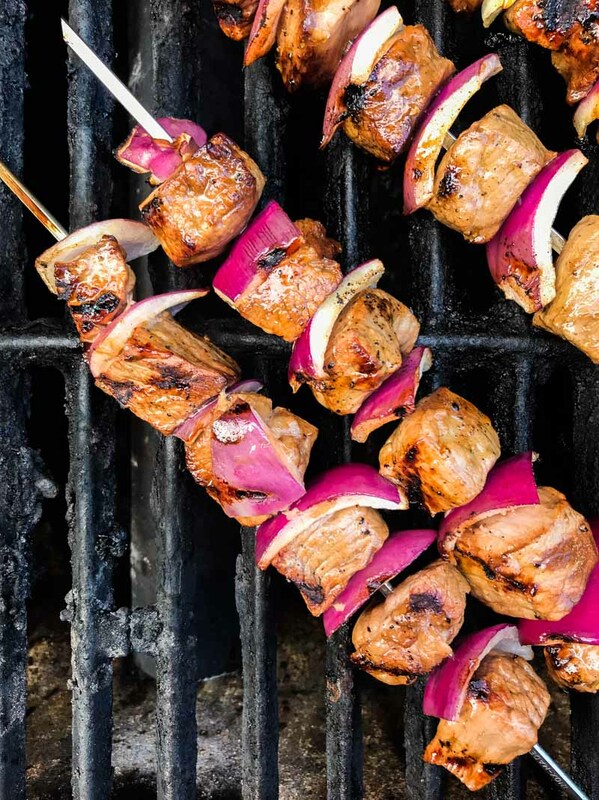 Whether you call them shish kebobs or skewers, there is just something about eating meat on a stick that makes it much more fun. Right? I think so. 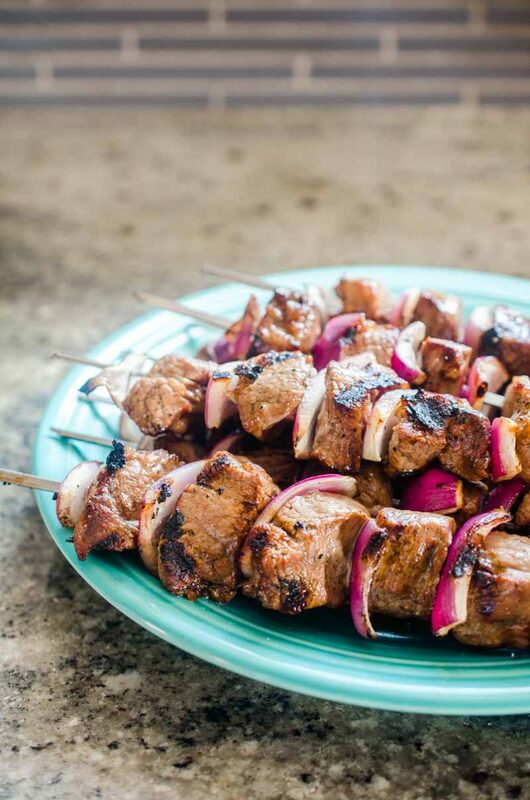 Plus, cooking meat on skewers also lessens the cooking time, which is always a win. Especially when you are the one BBQ-ing. 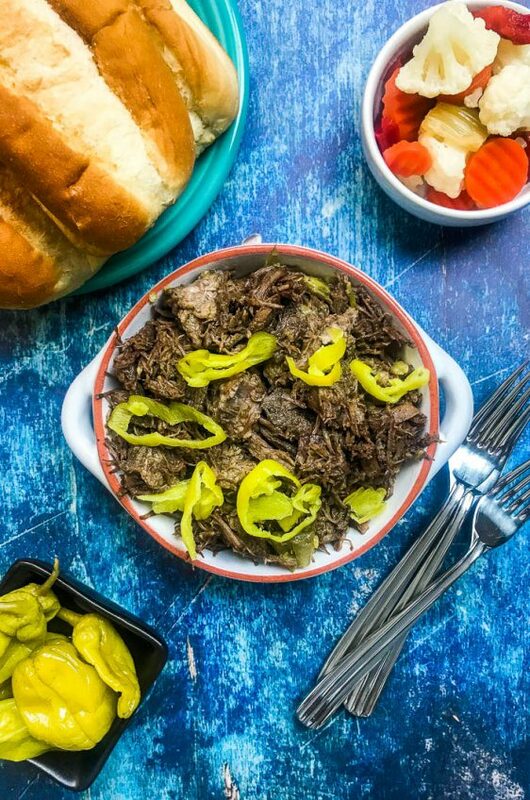 When I set out to make these Balsamic Beef Skewers, I knew that I wanted to make some kind of beef skewers but wasn’t exactly sure how I wanted to season them. Then I remembered my Grilled Flat Iron Steak with Balsamic Reduction and thought Balsamic would be the perfect marinade for the skewers. Which cut of beef to use in beef skewers? When it comes to beef skewers, some will say you need to use filet mignon, porterhouse or ribeye. I personally think that you can get just the same amount of deliciousness with more economical cuts like those from the sirloin. For the beef in these beef skewers, I use tri-tip. I had my first experience with the tri-tip cut last year when I worked with the Washington Beef Commission on Roasted Tri – Tip and Brussels Sprouts. 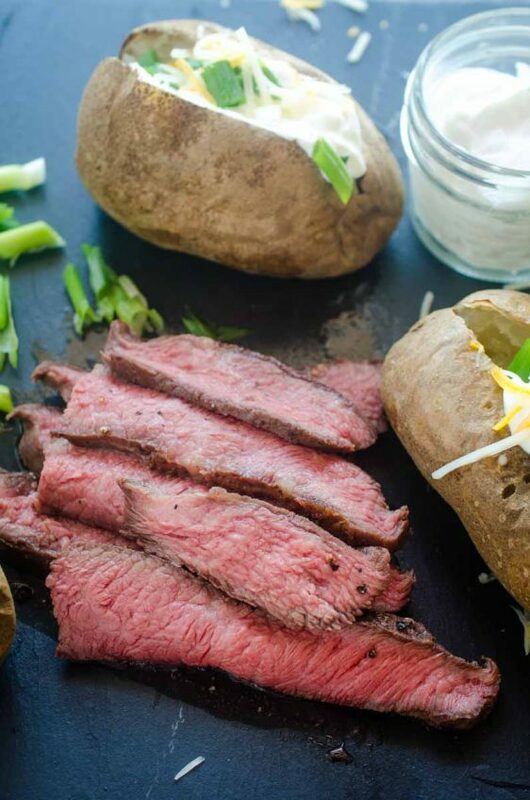 Tri- Tip comes from the bottom sirloin and is considered a lean cut of meat. My family seems to enjoy the leaner cuts of meat after they’ve had a bit of a chance to marinate. Marinating makes them more tender. 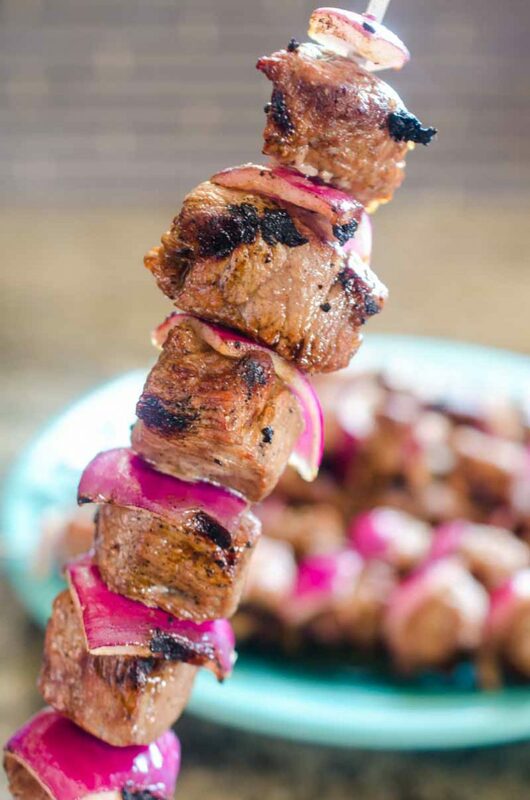 The marinade for these Balsamic Beef Skewers is simple. 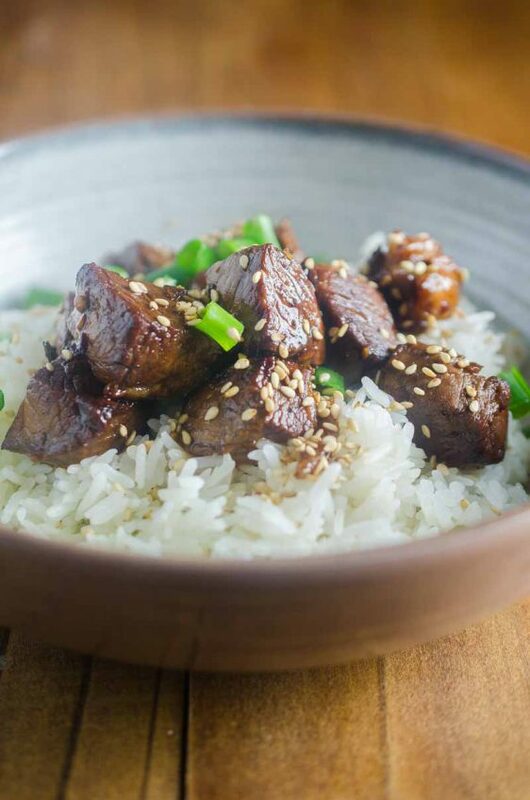 All you will need is avocado oil, soy sauce, Worcestershire sauce, pepper and balsamic vinegar. If you don’t have avocado oil on hand, you can use another higher heat oil like canola. The hard part is waiting. It is best when these are allowed to marinate at least 8 hours. Overnight is best. So make sure you plan ahead. Whisk together avocado oil, vinegar, soy sauce, Worcestershire and black pepper. 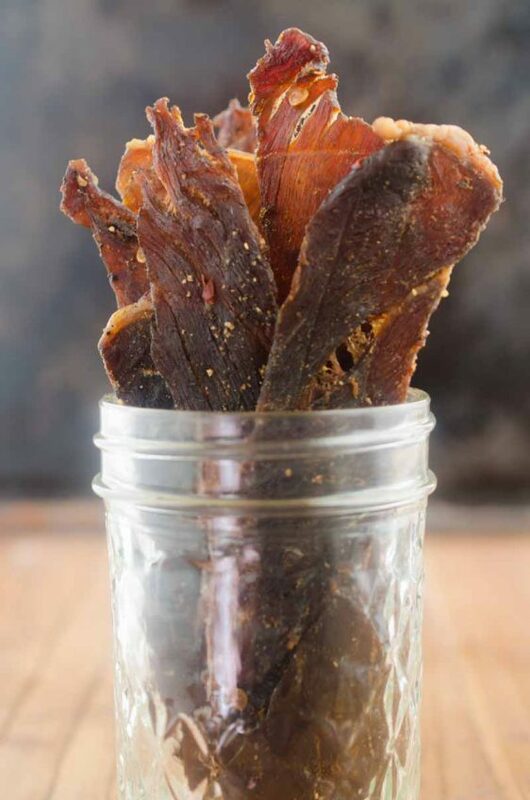 Place tri- tip in a non-reactive container or a resealable plastic bag and pour marinade over the top. Seal and marinate for 8 hours or overnight. If you are using wooden skewers, be sure to soak them for at least 30 minutes before cooking. 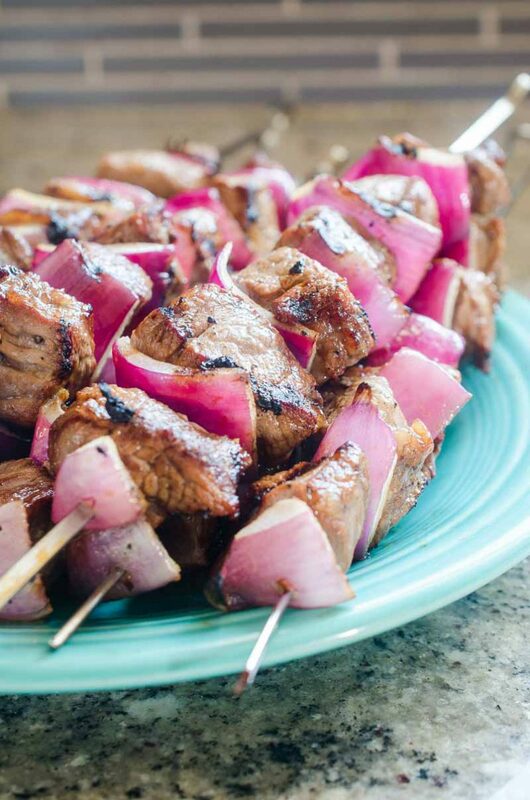 Thread beef and red onions onto skewers. Grill over medium- high heat 3 - 4 minutes per side. Serve immediately. I can’t wait to try it this weekend!! Looks SO yummy! This looks really perfect for weekend grilling! 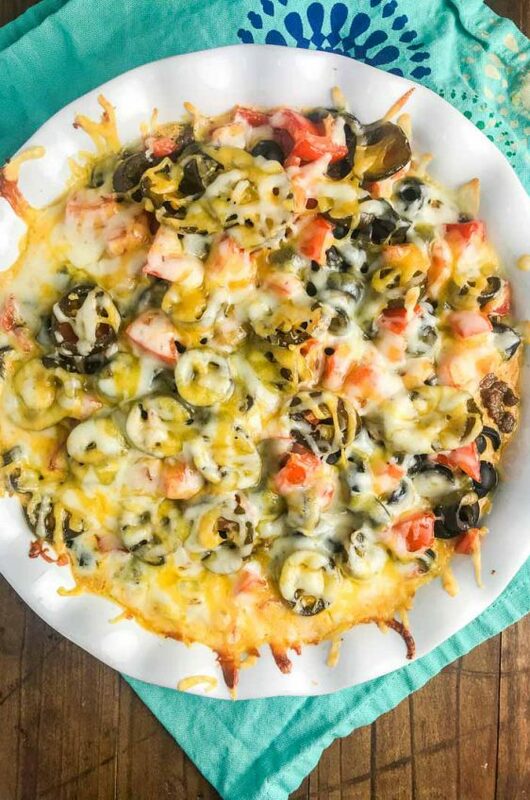 This looks perfect for weekend grilling!! Wow! 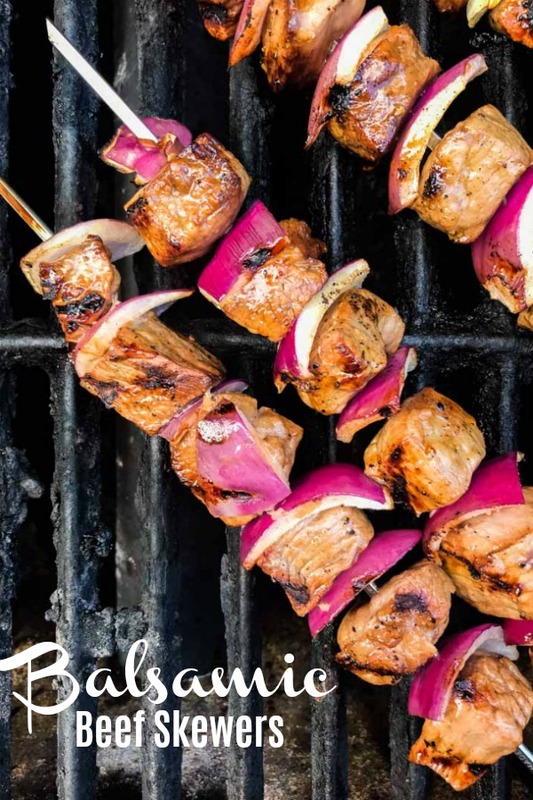 These skewers look so good! These my type of dinner! Yum! These look great! Perfect for grilling. OMG this dish sounds divine! Can’t wait to fire up the grill!